Hello Friends! I'm back with an awesome article where you can earn mobile recharge by downloading applications. We people running out of balance and especially in emergency times. 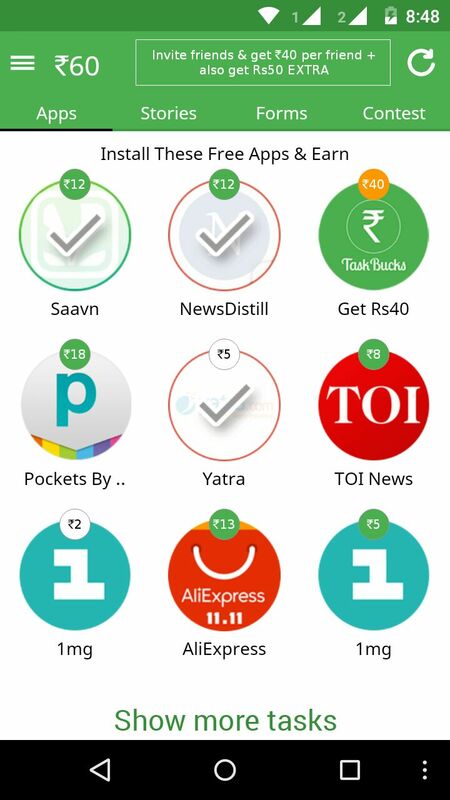 Here's an awesome app where you can earn some mobile recharge. 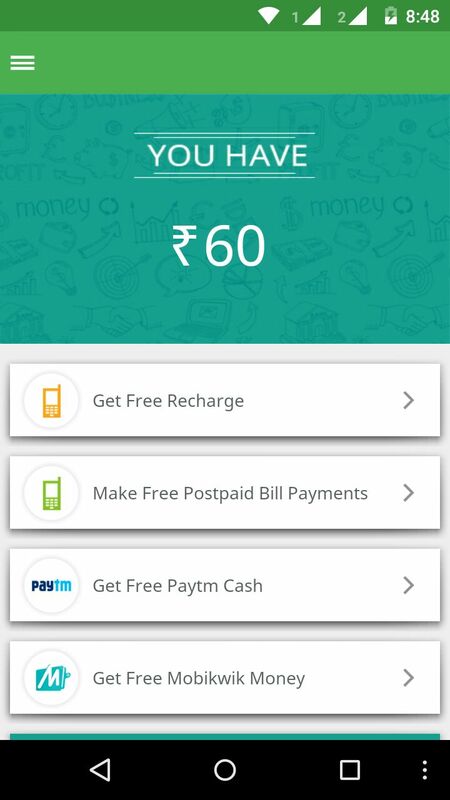 Just simple you need to spend some 10-15minutes to get 100 recharge or you can directly redeem you're bucks to paytm cash. 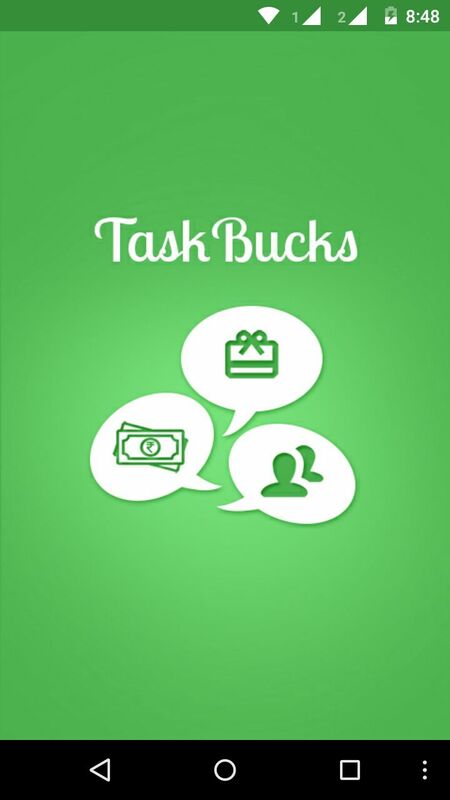 Taskbuck is a rewarding application where you can get rewarded by downloading different apps, reading stories, completing forms and contests. There are lots of apps are available to download and earn some mobile recharge or cash. There different payment options are available to redeem. 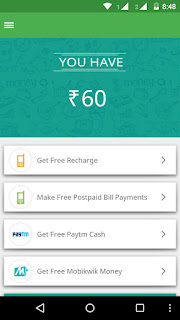 And also you will get instant recharge within a minute or if not you will get refunded. No need to worry, this is genuine app more than 1 million downloads and 4.3 ratings. 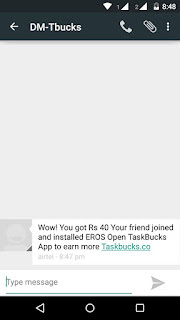 Refer a friend, get rs.40. (Friend must and should download one app to get the referral amount). Gaana rs.6 (Play one song). Saavan rs.5 (Play one song). 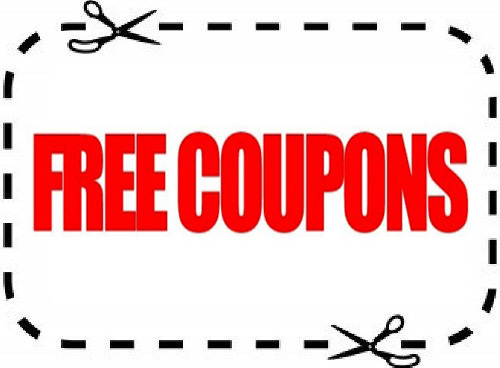 I believe above task will give more than 100+ and easiest method is just refer a 3 friends. 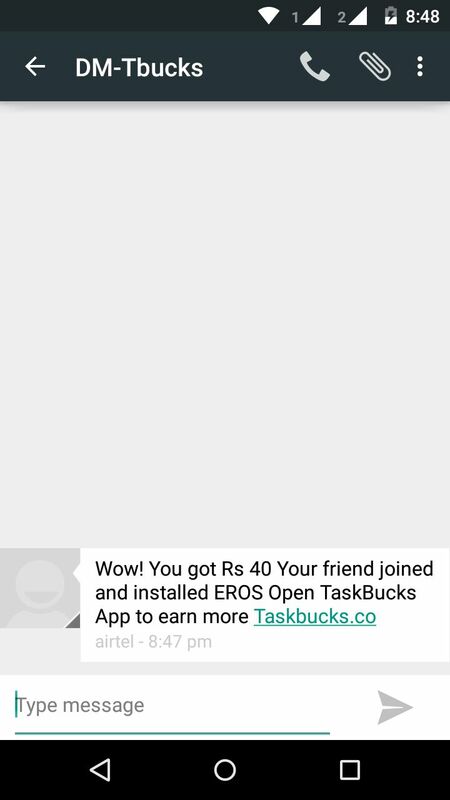 Only three referrals are allowed to get 40rs. per referral. 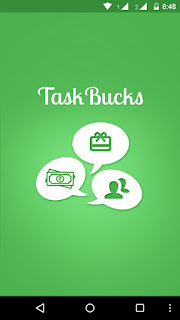 Above is the complete review on taskbucks and I suggest you go with this application. Still any queries please leave a comment and please don't forget to share with your friends.